$16.99 on itunes!Buy on Amazon! Amaya Bajaratt is beautiful, elusive, deadly—and she has set in motion a chilling conspiracy that a desperate government cannot stop. An accomplished assassin and mistress of disguise and deception, she has set in motion the boldest act of terrorism yet conceived. Tyrell Hawthorne was a naval intelligence officer—one of the best—until the rainswept night in Amsterdam when his wife was murdered, an innocent victim of the games spies play. Since then he's been sailing charters in the islands. Now he's called out of retirement for one last assignment. For Hawthorne is the only man alive who can track down the world's most dangerous terrorist. Now, with his life and the life of the President hanging in the balance, Hawthorne must follow Amanya's serpentine trail, a path of seduction, betrayal, an instant death. Racing from a millionaire recluse's fortress to the social whirl of Palm Beach and from the Oval Office to treacherous Caribbean waters, Hawthorne will uncover a sinister network of well-placed men and women who exist to help this consummate killer—and the shattering truth behind the Scorpio Illusion. 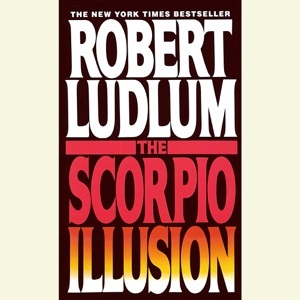 Do you love The Scorpio Illusion: A Novel (Unabridged) audiobook? Please share!